'Skyjack' was an illustration I reworked from a concept by Mitch Loidolt a while ago. It seemed to strike a chord as a number of people got in touch about a print so here it is. 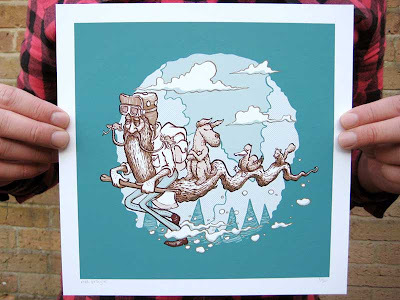 There are a limited run (thirty in all) of high quality giclee prints available now in my shop.